In 2004, Pinky Brier formed the Brier Foundation to assist young women in pursuing careers in aviation and other forms of transportation. 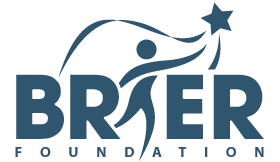 The Brier Foundation maintains a scholarship and awards numerous scholarship each year to qualified candidates. This educational scholarship is intended to help young women get a head start and develop into a productive, self confident and independent person. Pinky Brier believed in the possibility of anything. If you have the passion, your success will follow if you apply yourself and chase your dreams. Pinky Brier lived her dreams and has made provision for other women to assist them in achieving their dreams as well.